When I was a kid, lunchtime was always the same old boring routine, and I promised myself that I would have more interesting and healthy lunch options for my own kids. Back in those days I wasn’t concerned about which brands of food went into my body – turkey is turkey, and turkey is healthy, right? Unfortunately, that’s not always the case as many pre-packaged lunchmeats are chock full of artificial ingredients and preservatives – yuck! 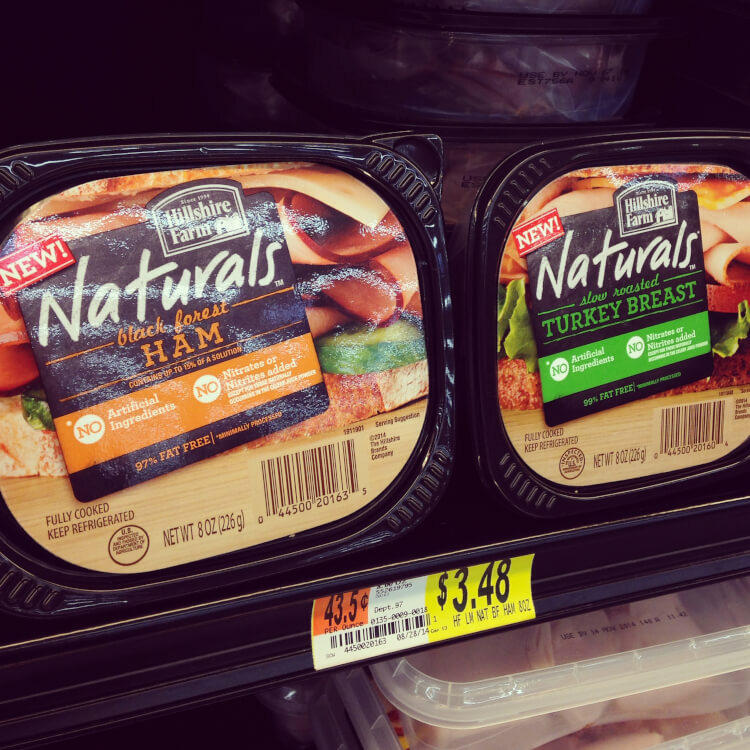 As an older and wiser adult, I pay much more attention to these things, so I was excited to discover the new Hillshire Farm Naturals lunchmeat in the deli meat section at my local Walmart the other day. 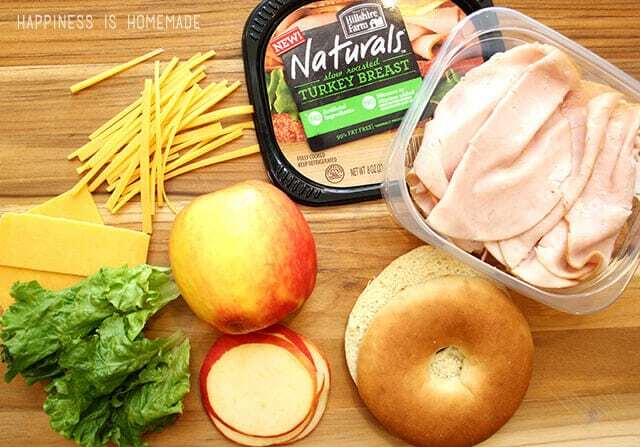 The Naturals line contains no artificial ingredients, preservatives, colors or nitrites/nitrates (except those occurring naturally in celery juice). I picked up the Slow Roasted Turkey Breast and the Black Forest Ham, but they also have Hardwood Smoked Turkey Breast and Honey Roasted Ham. 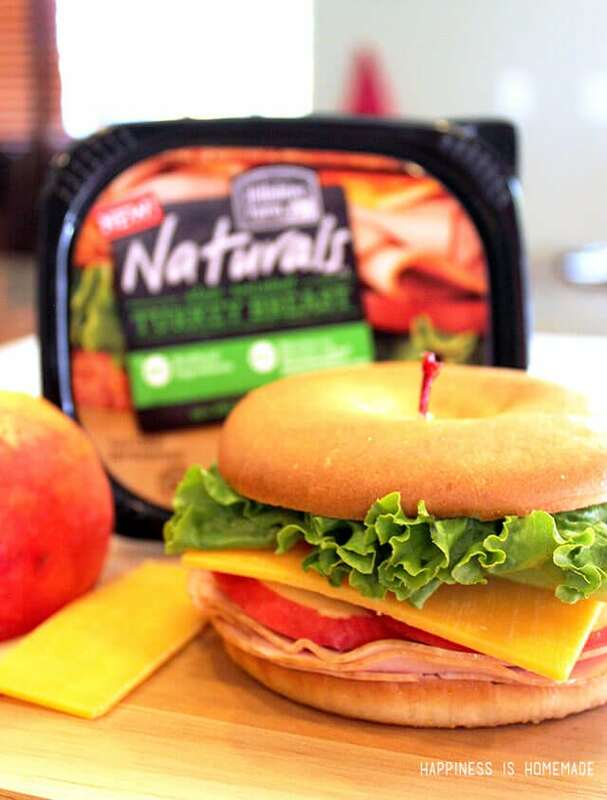 I couldn’t wait to try it out, so I made myself a bagel sandwich with Slow Roasted Turkey Breast, cheddar cheese, apples and lettuce. Basic, yes, but the apples give it a nice sweet crunch that I can’t get enough of! Yum! 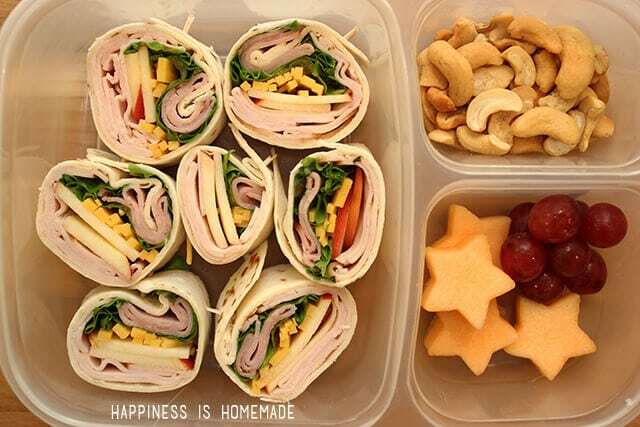 No boring lunchtime meals around here! 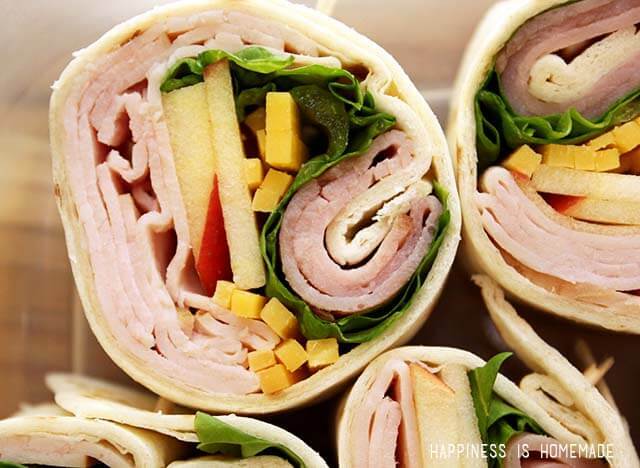 For the boys, I used the same ingredients (plus the ham) all rolled up in a tortilla and sliced into pinwheel sandwiches. Add a side of fruit and nuts, and I’ve got a super wholesome lunch that my kids are actually excited to eat – yay! I was really impressed with the fresh flavor of the Hillshire Farm Naturals meats, and we all especially liked the Slow Roasted Turkey Breast. I can see myself making lots of different lunchtime meals for my entire family with these! To learn more about Hillshire Farm Naturals and to stay up to date with the lastest news and product information, be sure to follow Hillshire Farm on Facebook, Twitter and Pinterest.